 For over 35 years, Terracon’s team of professionals, field technologists and field staff have been serving resource, industrial, and civil based projects across Western Canada. Terracon is an employee owned consulting and field services business that has been serving resource, industrial, and civil based projects across Western Canada for over 35 years. We are a diverse business that specializes in geotechnical engineering, geosciences, field services, materials testing, construction monitoring, drill rig monitoring, and instrumentation installation and monitoring. We have significant operations in both Calgary and Fort McMurray, and mobilize field operations across Western Canada in order to serve our clients. Monitoring services supporting civil earthworks construction to help ensure construction practices comply with design parameters. We have extensive experience in both installation and monitoring of various geotechnical instrumentation technologies. Terracon can conduct a wide array of materials testing at our own laboratory. We can also mobilize our fleet of mobile laboratories.